William Locher is a junior from Springfield, Illinois, studying international affairs and German. It sounds cliché every time I talk about it, but when I came to SIU for a visit, the staff and faculty laid everything out on the table and made it feel like they truly wanted me to come here. It was very apparent that this university cares about the students it brings in. I knew I could succeed with that kind of mentality among SIU faculty and staff. I haven’t been disappointed for a second in this regard since being here. 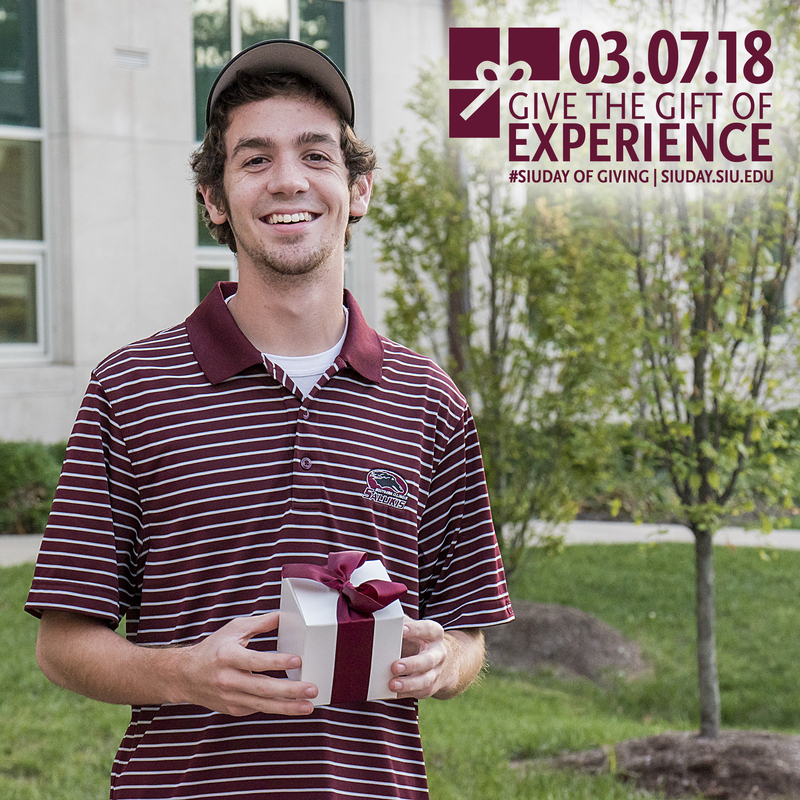 What would you tell a prospective student about SIU? The faculty and staff care about us doing well as students and want to help in any way possible. I would also say that there are just so many avenues to pursue success here. Again, it sounds cliché, but it’s true. Finding a group, professor, job, etc. to push you forward in your career is not a difficult thing to do here, it’s just a matter of taking the opportunities put in front of you. I was on a school trip to Germany in high school where I lived with a host family for three weeks and traveled through Germany for an additional week. Throughout the experience, I was captivated by the culture, but also by the similarities and differences of the German culture and American culture. Learning about the German education, economic, and political system made me wonder about how our systems work together in the greater scheme of things. I’ve always wanted to work with people, as well. I told myself when we were standing outside the Brandenburg Gate in Berlin and the United States Embassy that I would work in that exact building (the Embassy) someday. There are quite a few that come to mind, but definitely one of the top was the eclipse. I’ve told people that the eclipse was one of the top five single events of my life, really. It was incredible to see the masses of people come to Carbondale. I loved how everyone embraced it and showed our pride for everyone to see from all over the country. Have you received any scholarships as a student? I am a University Excellence Scholar. What does the scholarship mean to you and how has it enabled you to pursue your goals? This scholarship means everything to me. I probably would have come to SIU even without the scholarship, just based on how the faculty and staff treated me when I came here for the first time, but it definitely helps. This scholarship has given me the opportunity to start my life after college on the right foot to avoid debt. This scholarship, paired with working as University Housing student staff has made it possible for me to pursue even higher goals for after my time at SIU. Saving money now means I have the opportunity to do more later. How has SIU inspired you? My courses at SIU have truly shaped the way I think. In the political science department, at least, my professors – especially Dr. Shulman and Dr. Tilley – have provided the best possible environment for productive discussion. I have learned more in their classes about people and ideas than anywhere else. They have taught me that there is always a counter-argument to every point and that we, as productive members of society, MUST be willing to see that counter-argument to any point we may make. It’s crucial to positively impacting our society and our world. It’s how we will move forward. Why should someone consider donating to SIU? Because SIU is making life happen for a lot of people. It’s inspiring people to go out and do big things for the world. I know I’ve felt that way. I brag about how well I know my professors and how easy it is to get involved with anything you want. I love the relationships I’ve built with my professors; it’s something most other universities cannot offer. From what my friends at other places have said, they only see their professor when they go to class and sometimes even only on test days, which isn’t even close to the case for me. I brag about how easy it is to commit yourself to the university in any way possible and to develop yourself professionally and socially. If you had $1,000 to donate to the SIU, what would you like to see that money benefit? I would donate it for student worker positions or to help the prospect of new residence halls. Student workers are really important to the campus, but it could be argued that jobs are even more important to those students that have them or, more importantly, don’t have them due to a lack of funding. Many students work so hard to help themselves with school payments and other financial strains, and many of those that want jobs on campus can’t get them because of insufficient funds. I think the campus would benefit greatly from more students being directly involved with the campus and it would make many feel even better about being here.